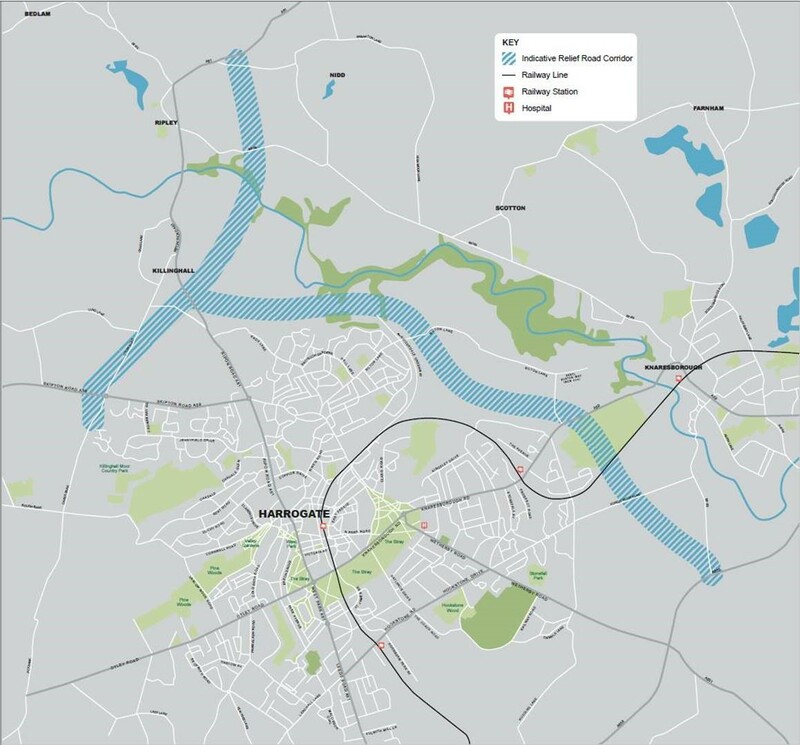 The Harrogate Relief Road is a new road scheme proposed by North Yorkshire County Council that aims to reduce the level of local traffic through Harrgogate and Knaresborough. The council are currently looking at two proposed ‘packages’ that both focus on a range of sustainable green measures as well as a Killinghall bypass and ‘inner relief road’ starting at Bilton. The council have not yet determined a specific route, and it is thought that this is atleast 12 months away. North Yorkshire County Council have revealed the details of a public consultation on the possible options to help tackle Harrogate and Knaresborough’s traffic congestion. The consultation is to be online, with paper versions available on Monday 15th April. The council also propose to hold public exhibitions in the local area, but no dates have been revealed. The consultation will involve the 48,000 households in Harrogate and Knaresborough but is open to anyone to respond, however the council will take priority of local views first. One element of the scheme that has already been identified is the 150-meter-wide corridor of a potential ‘inner relief road’ from Bilton to Forest Lane Head going near the sewage works in Bilton but not onto Bilton Lane, past Nidd Gorge. The questionnaire aims to gather residents’ opinions on this. At Lister Haigh we have a team of experienced professionals with a detailed understanding of road schemes covering a variety of property types and are able to advise on the implication of proposed schemes at an early stage. If you think you will be affected by the above entering into early discussions is important as we can assist and nurture a relationship with claimants that lasts to the formalising of any legal agreement and the payment of final compensation.